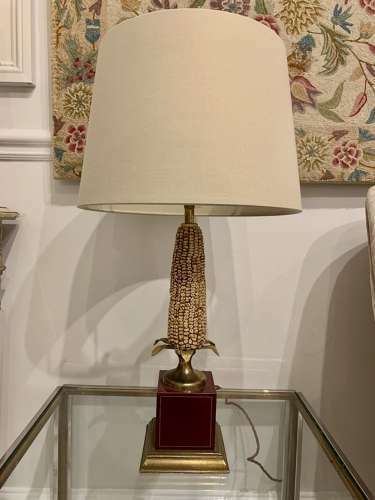 A pair of Maize or corn cob table lamps - very naturalistic! With gilt metal and burgundy bases and black shades. Rewired and PAT tested for UK use. French c1970.